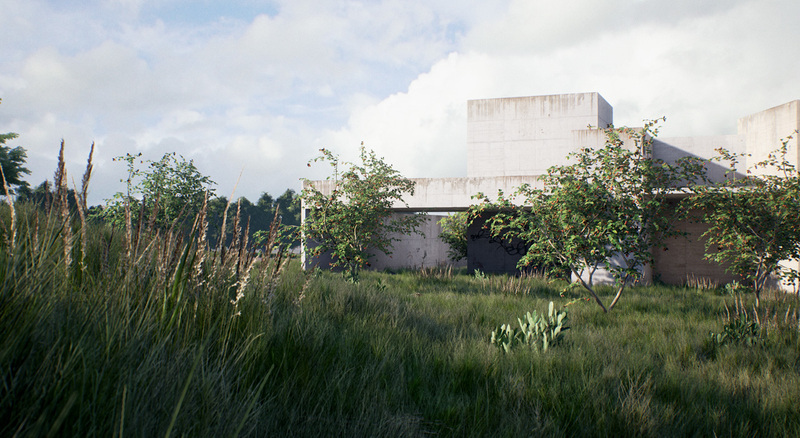 I've started to create this sort of residential environment as a background for some of my archviz projects. 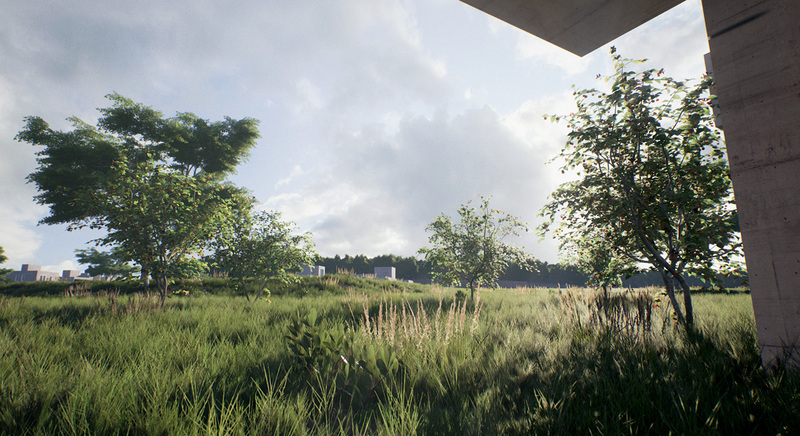 Then I started to use it as a sandbox to study the engine, improve lighting, foliage techniques, performance optimization, landscape and materials, etc... I'm always trying to improve the realism somehow, so I consider it a "forever WIP" project . 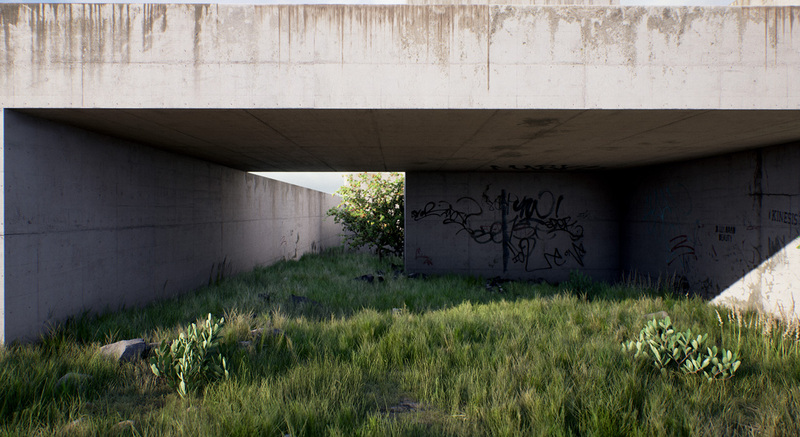 Anyway, I think this project packs a lot of stuff I've done so far with UE4 so I decided to create this thread for and keep it updated with screenshots and info of the last improvements and experiments. C&C, questions and curiosities are most welcome. 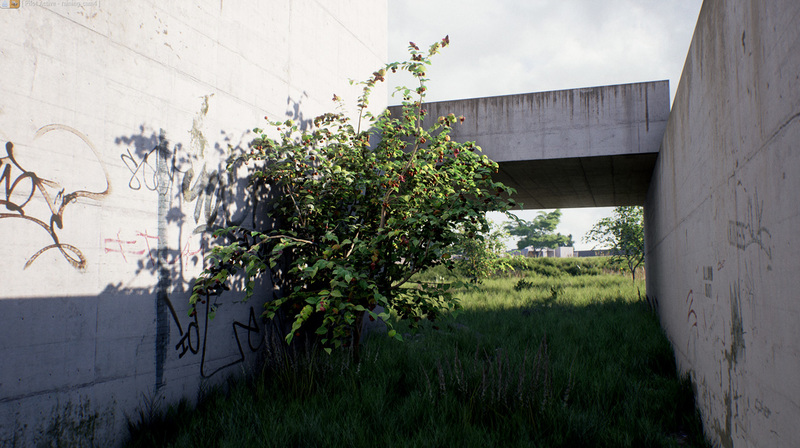 I created a new tree model recently and used the environment project to test it on, try some lights and tweak the materials. 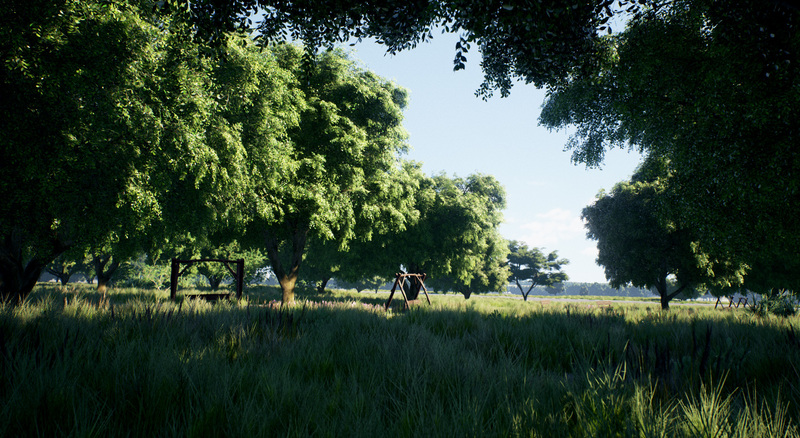 I ended up creating some scenes and playing more with the environment than the tree itself . 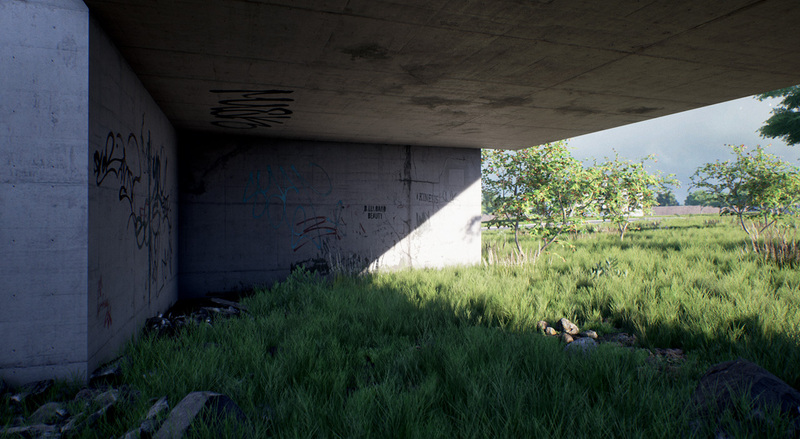 In the screenshots bellow I tried to recreate an abandoned place. The screenshots are from two areas. In the last of them I've tried to recreate an abandon place just to play around with decals and materials (plus I like that mood ). The map has an area of 5 square kilometers with satellite textures used as base. 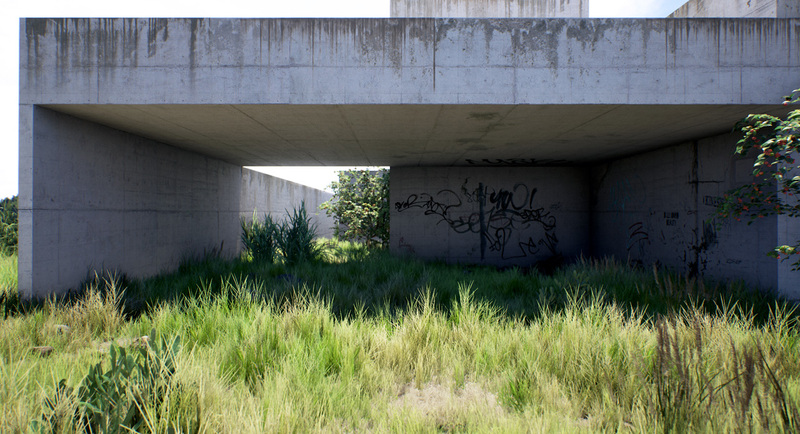 The actual usable area with details resides in the center and has about 1 square km. 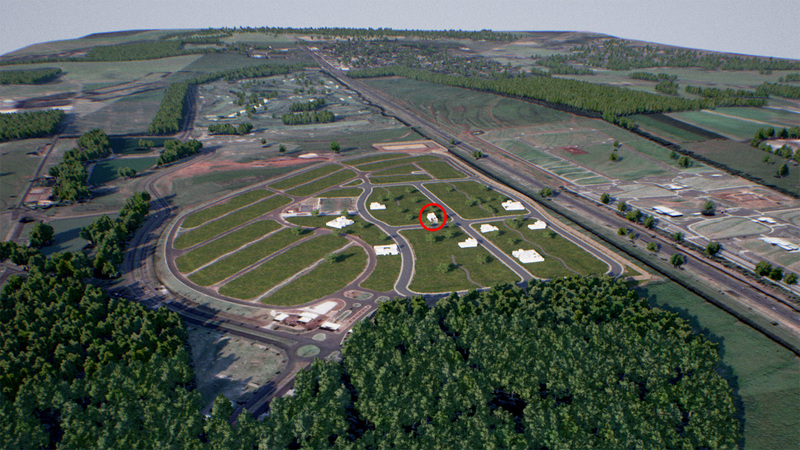 Red circle indicates the house that appears in the first screenshot. Last edited by rabellogp; 05-15-2016, 08:44 PM. Really beautiful work... as always! So what kind of fps are you getting with your pitangueira trees? Is the LOD 0 tree still at 400k tris? 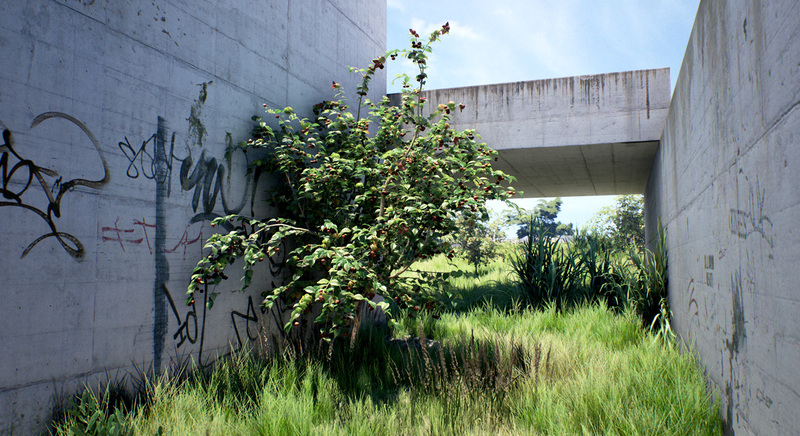 Final (by now ) version of that tree has 320k tris (LOD0). 72k for LOD1 and 6k for LOD0. The leaves have 3 LODs. The first one has 40tris, and it's used only for the most external leaves on tree LOD0. They have a nice curvature and meant for close up. 12 and 2 tris LODs are also used on leaves that are not too exposed (tree LOD1 has only those). 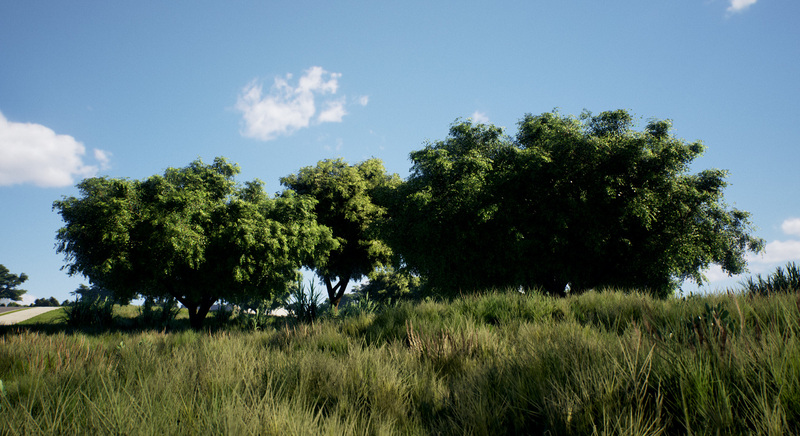 For tree LOD2 I'm replacing all the individual leaves by planes with branch textures. There is also a tree LOD3 with billboards for the whole tree. 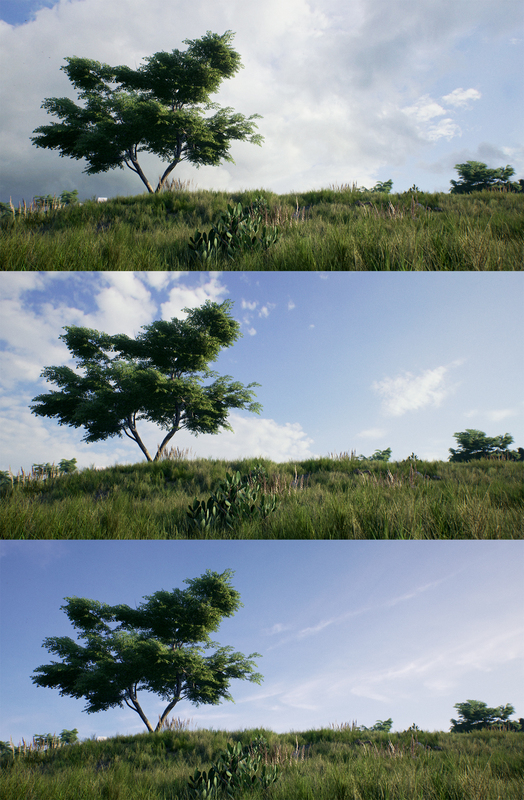 5 trees on the same screen all on LOD0 take me about 7fps. All on LOD1 costs 3fps. 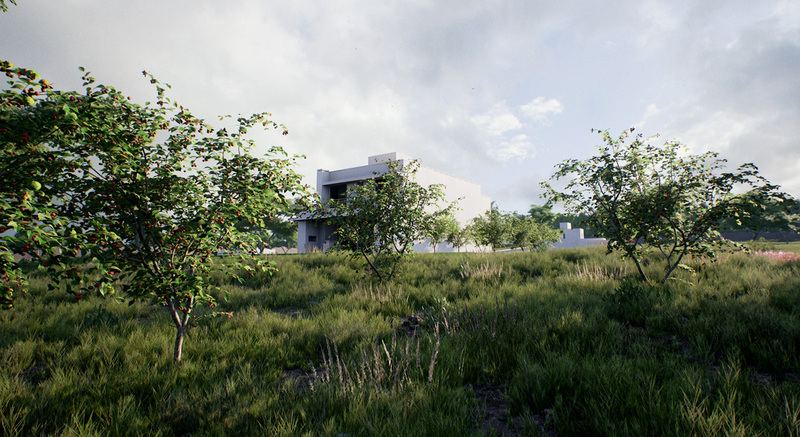 90% of the trees you are seeing in those screenshots above are on LOD1. 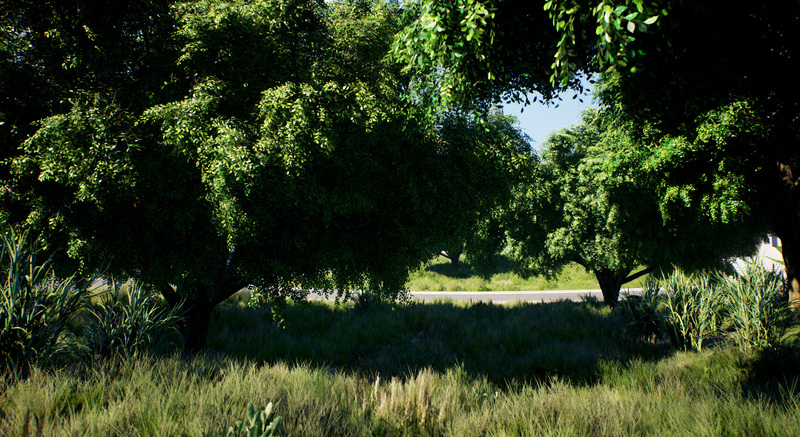 I'm using it as default and manually activating LOD0 just for closeup trees. That entire scene runs at 40~60fps, 1080p and 15~30fps 4k (gtx980ti). 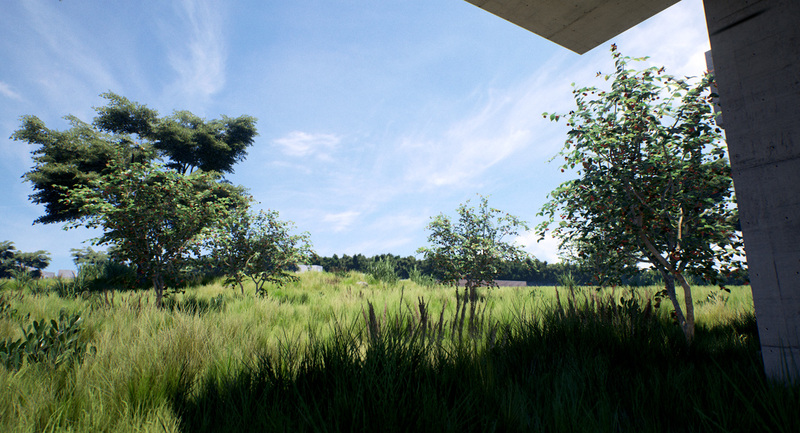 Dynamic light for all the vegetation. Shadows on grass are by far the most expensive feature there... 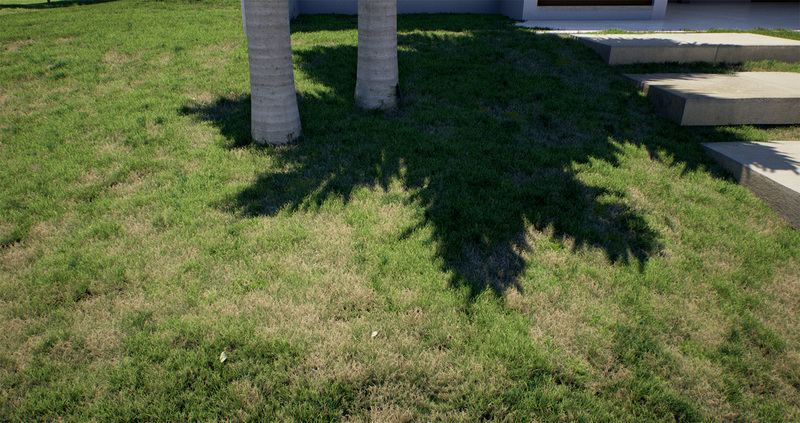 I like to use shadows on the first grass LOD only to improve performance. Last edited by rabellogp; 04-17-2016, 12:32 PM. Three new screens of a little update... I'm working a bit more on that high grass trying to reduce a visual pattern on the blades that was bugging me on the first version. Now I'm mixing the grass I've created from scratch with a tweaked version of the kite demo grass. Now I want to make a short video with wind effects and start working on a rainy weather for that. Last edited by rabellogp; 04-23-2016, 08:49 AM. Last edited by rabellogp; 06-29-2016, 08:48 AM. I was admiring your work on Instagram, glad I found it here! 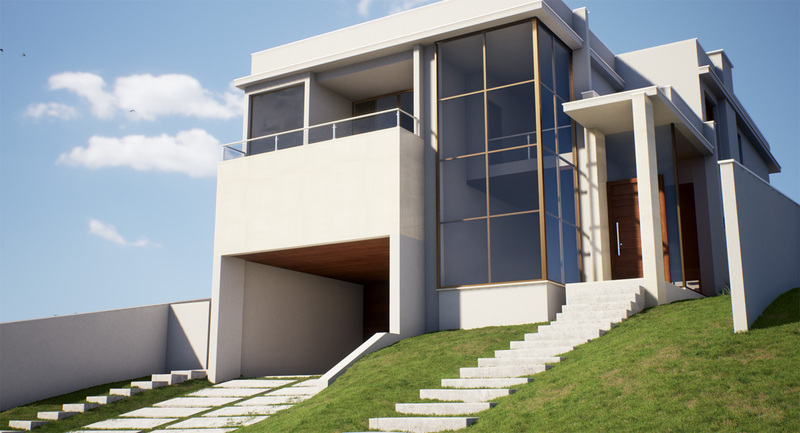 How did you overcome the problem of grass meshes using the same indirect lighting cache sample? 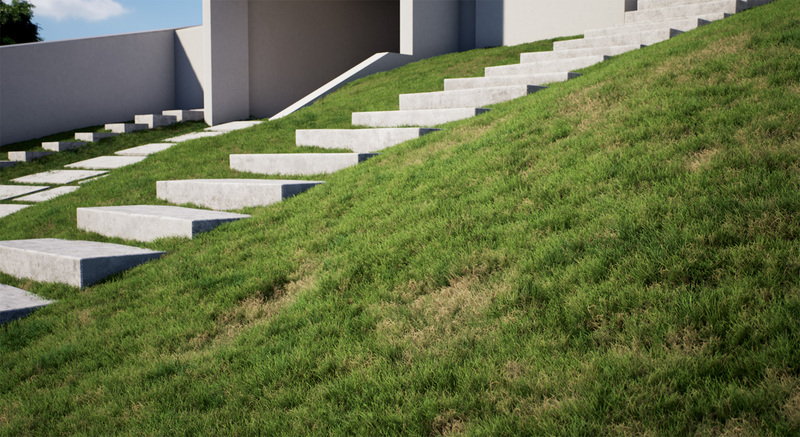 In other words, how did you make the grass receive indirect shadows from the architecture? Are you using DFAO? If so, how'd you get it to be compatible with lightmass? Sorry for the torrent of questions, just really love your work. Love your trees by the way! I bet I'm not the only one who'd like to see them on the marketplace. Or perhaps a tutorial. Last edited by Wilkes; 04-24-2016, 03:35 AM. 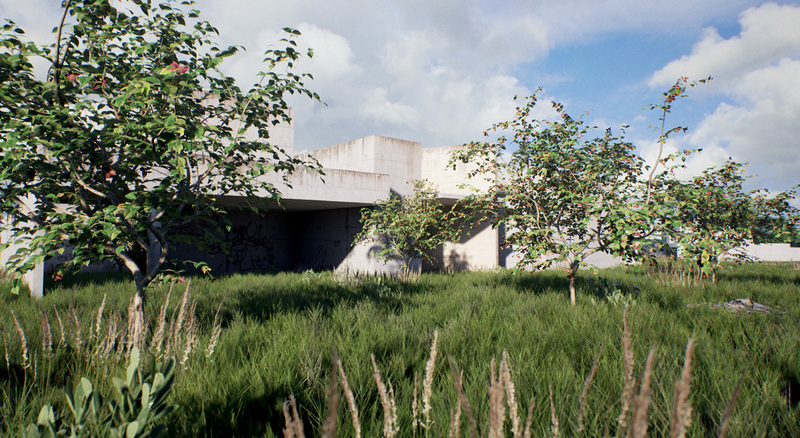 Updates with tweaks on the grass and foliage material. 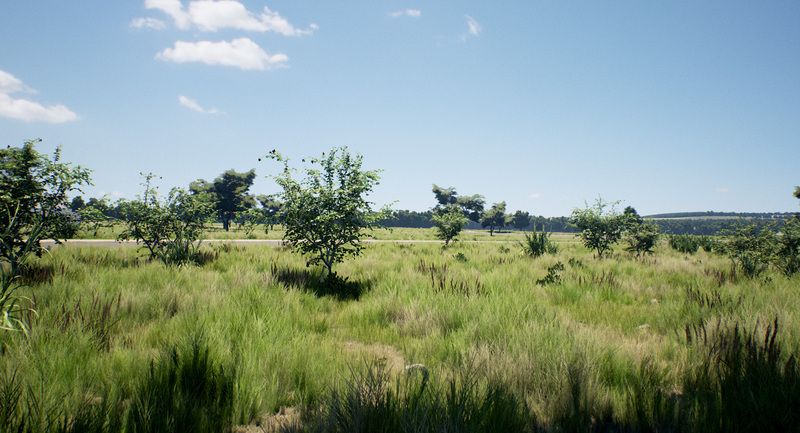 I've added a third type of grass, a very short and dry one to fill the holes on the ground and hide the unrealistic contact of tall grass planes with the landscape mesh. 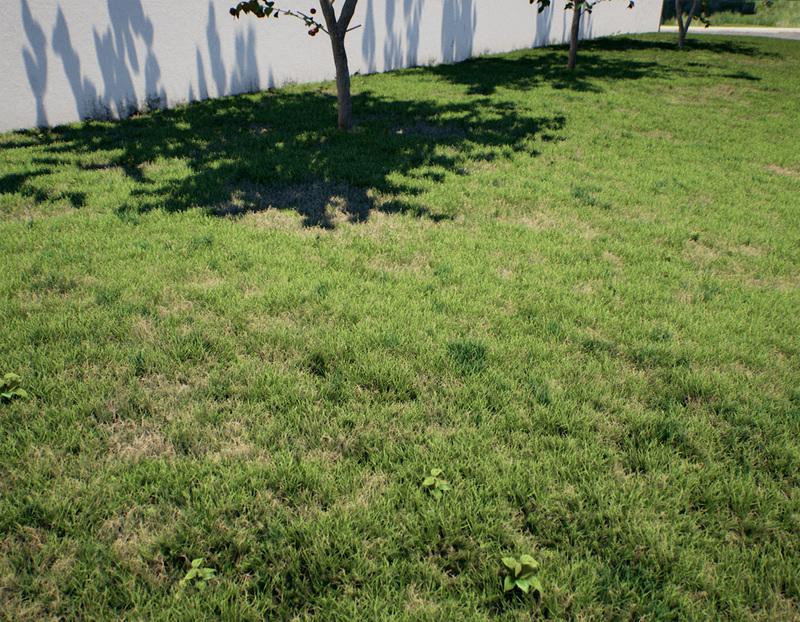 There is three kind of grass mesh combined, but only the tallest is not culled after a couple of meters from the viewer (so there is not too much impact on framerate). 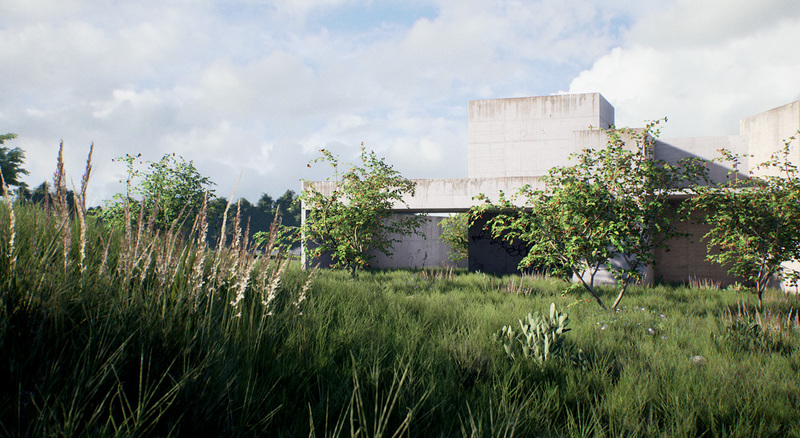 I'm also working a lot on the variation map to keep make the mix between dry and green grass more realistic. I'm using some reference photos and I'm not totally happy yet, but I think I'm getting there..
Last edited by rabellogp; 06-29-2016, 08:47 AM. The lighting looks so realistic. What did you use for the sky please? 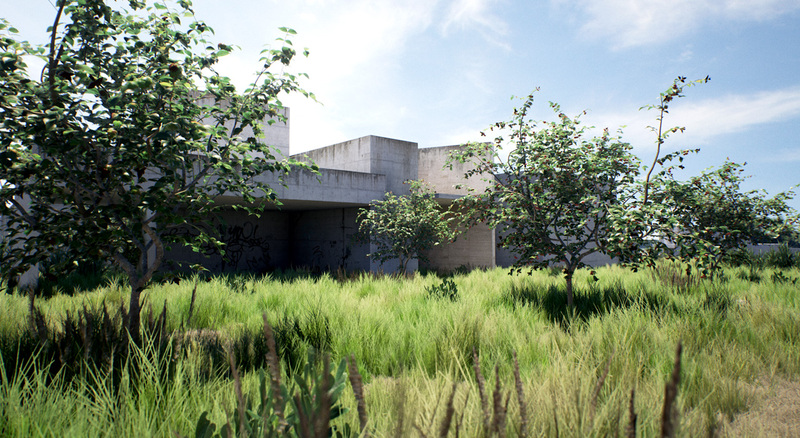 Some screens of a new lawn I'm creating for archviz and using this project to test it. 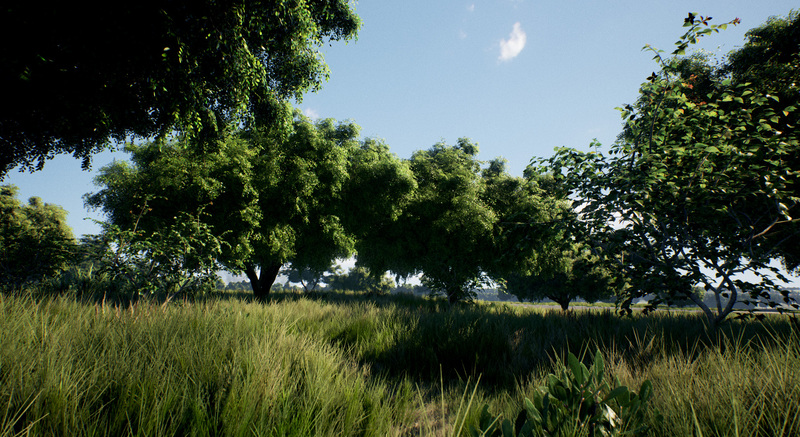 It's a Speedtree asset created from scratch. 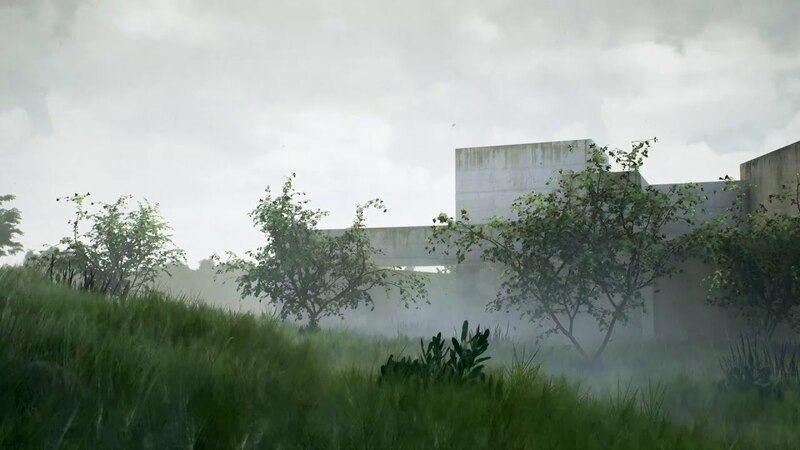 Loving the simplicity and realism of the environment. Thought about lighting the scene for night time?